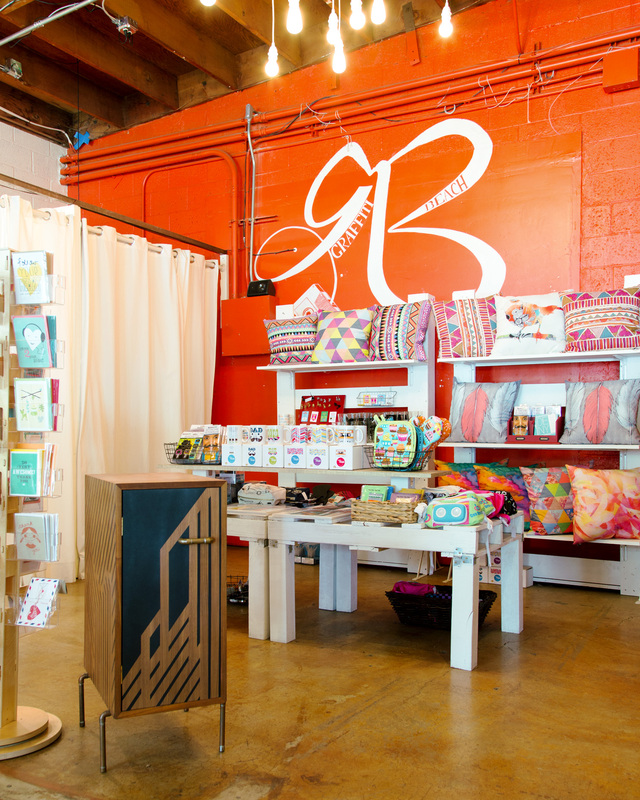 Graffiti Beach was a pop-up shop on Abbott Kinney Boulevard in Venice Beach before recently moving for good into South Park’s historical 30th and Fern building. The garage door–fronted space is filled with quirky art, jewelry, and clothing from emerging designers and artists with a conscience, like Mukee, a Denver-based company that makes jewelry and accessories from reclaimed skateboards. Attention, shop-local types: Three-quarters of the designers are from California.